Travel writer Ailsa Ross has taken a break from her own travels to write a compendium of history’s most adventurous female trailblazers from 231 BC to today. 'The Woman Who Rode a Shark: And 50 More Female Adventurers' (AA Publishing, out April 4) is an illustrated tribute to incredible women the history books left out. Here, for International Women's Day, she picks seven of her favourite. 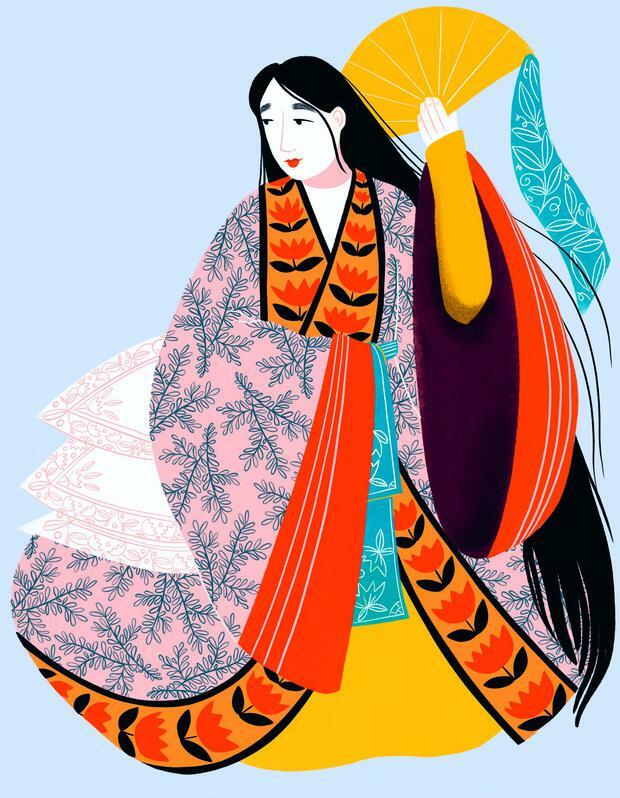 I never thought I’d have much in common with a Japanese lady-in-waiting who lived a thousand years ago, but I changed my mind when I read the diaries of Lady Sarashina. The young Sarashina was always arguing with her mum and worrying about boys, something I could relate to. As for the older, wiser Sarashina - she realised she wasn’t interested in gossiping with the other ladies-in-waiting at the imperial court. She was happiest outside - among the country’s mountains, temples and forests. Again, I could relate. While travelling, Sarashina wrote about everything she saw -- beautifully. To her, Mount Fuji’s thick cover of snow appeared like a white jacket over a dress of deep violet. Streams of water bubbled like drops of crystal. 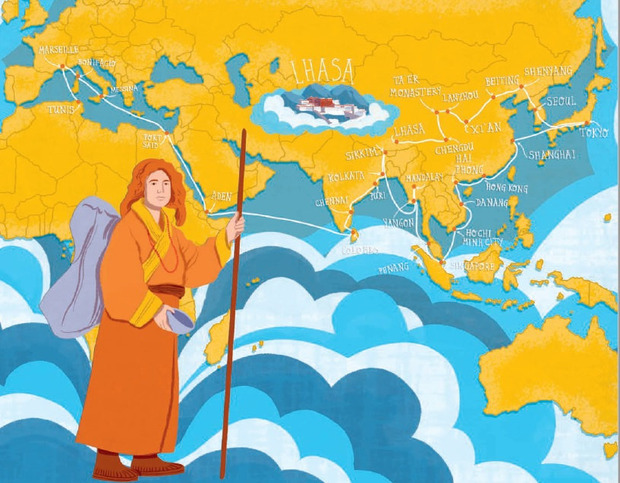 By writing in her unique way, Sarashina is said to have been the world’s first travel writer. Isobel Gunn grew up in Orkney. Half my family comes from Orkney. Isobel Gunn emigrated from Scotland to Canada. I emigrated from Scotland to Canada. 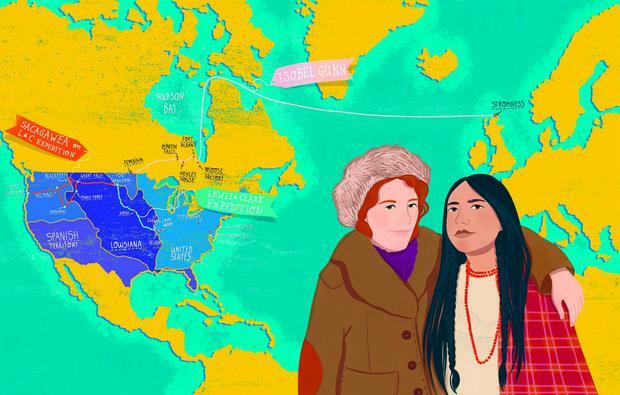 To get to Canada in the 18th century, Isobel had to disguise herself as a man. It was worth it. As a male labourer with the Hudson’s Bay Company, she could now earn the (relatively princely) sum of eight pounds a year. For two years Isobel canoed the wildest rivers. She carried backbreaking loads of supplies between trading posts. She was so good at what she did that she even earned a raise for doing her job so “willingly and well.” Yet despite being brilliant at her job, when her bosses found out she was a woman she was sent home to Orkney. She may not have been respected in the 18th century, but today Isobel is known for her daring -- and for proving that women can be just as brave as any man. I love the ocean. But Sylvia Earle? She really, really loves the ocean. 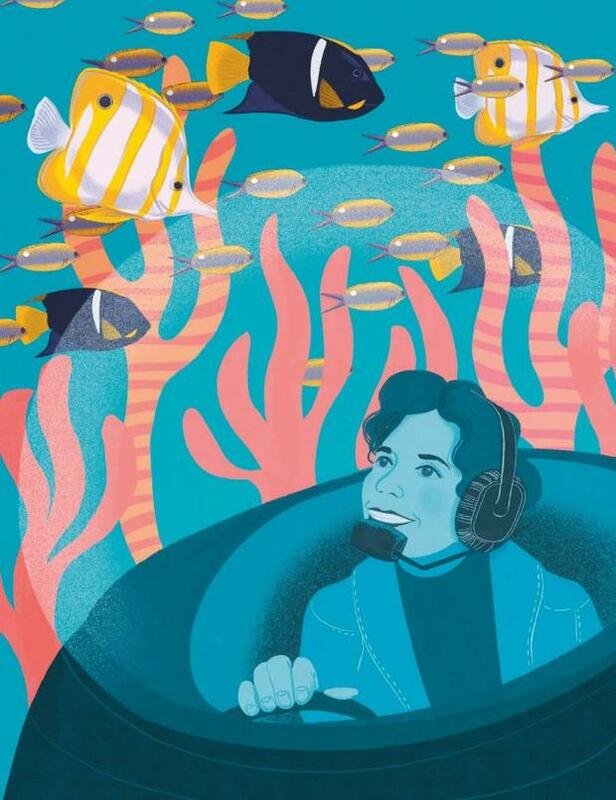 In 1970, she led the first all-women team of aquanauts to live for a fortnight underwater. In 1979, she even set a world diving record off the coast of Hawaii. Aviation schools in the United States refused to give Bessie Coleman pilot lessons because of her race. So Bessie learned French, moved to France, and learned to fly there instead. 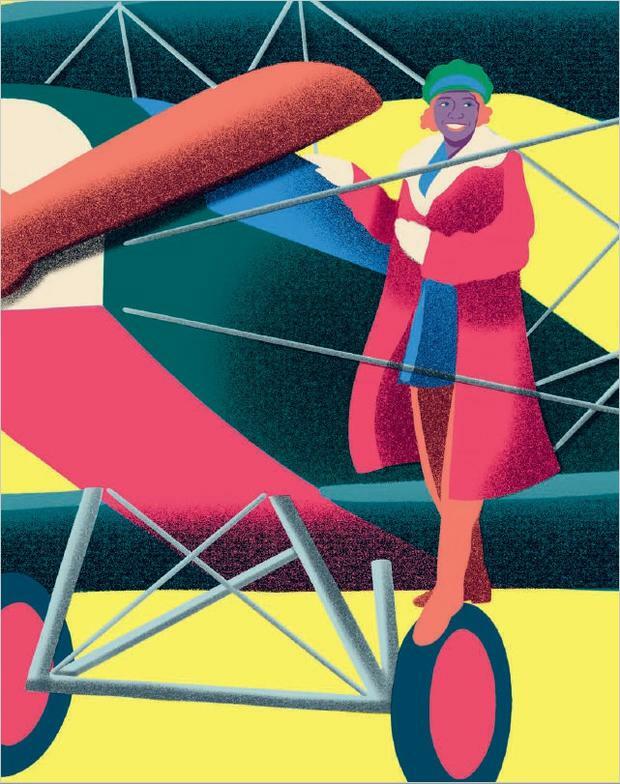 By 1922, she was the world’s first licensed female African American pilot. Back in the States, Bessie became a celebrated ‘barnstormer’. She performed daring loops and tricks in the sky for huge crowds. And she did it all in the coolest flying outfit -- one she’d designed herself. But the coolest thing about Bessie? She was saving her money to open up a flying school for African Americans. Sadly, Bessie died during a test flight in 1926. Still, "Because of Bessie Coleman,” said Lieutenant William J. Powell in 1934, “we have overcome that which was worse than racial barriers. We have overcome the barriers within ourselves and dared to dream." -50C. And there were definitely times when Jade couldn’t feel her fingers or toes. But she kept going. She saw beauty in the entire experience -- in both the pleasure, and the pain. Jade’s comment for those bullies? "I made you a sandwich (ham & cheese). 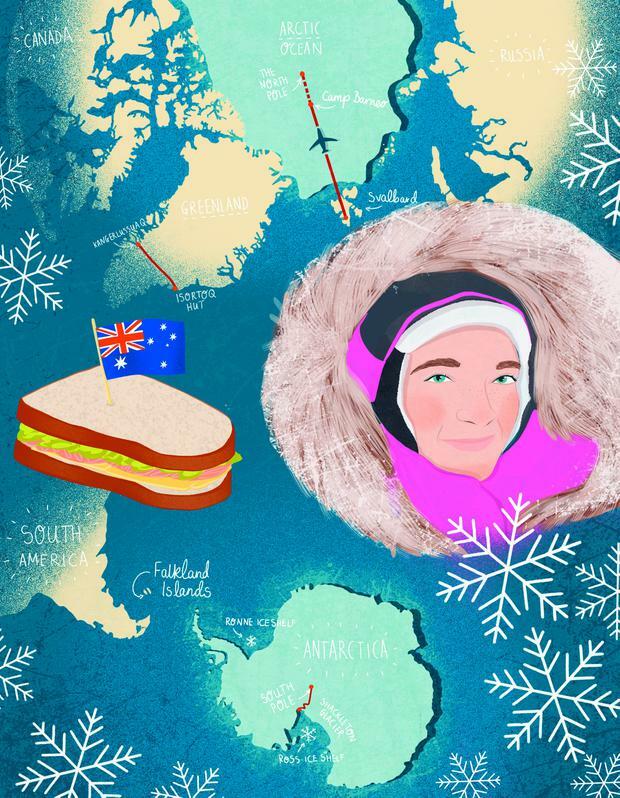 Now ski 37 days and 600km to the South Pole and you can eat it." A Parisian opera singer-turned- Buddhist Lama, I secretly think of Alexandra David-Néel as the ultimate adventurer. She spent the turn of the 20th century meditating in a Himalayan cave, meeting the Dalai Lama, and translating all kinds of sacred texts. But as much as the scholarly side of Buddhism appealed to her, Alexandra loved to adventure. In 1923, Alexandra crossed some of the highest mountains on Earth to enter the Forbidden City of Lhasa. She was 55 at the time, and she had to shoot at bandits just to get there. She got so hungry she ate leather strips from her boots. She even had a face-off with a snow leopard. In spite of all these hardships -- or maybe because of all these hardships -- Alexandra had the time of her life. She felt wide awake. She felt free. If anyone shows that adventure is an attitude, it’s the teenager Nujeen Mustafa. 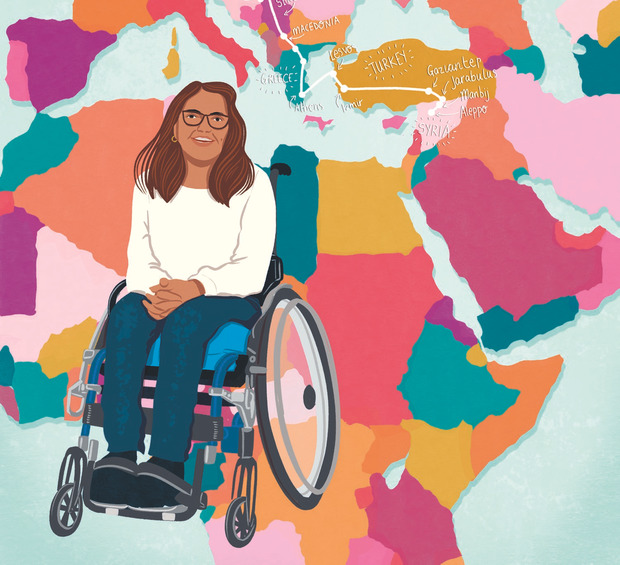 Born with cerebral palsy and confined by her wheelchair, Nujeen spent much of her life in a fifth-floor apartment in Aleppo. She couldn’t go to school, and her main connection to the outside world came through television. It was by watching shows like Days of our Lives that Nujeen learned English. When fighting in Syria intensified, Nujeen’s family fled the country with millions of others. She and her sister Nasrine began the difficult journey to Europe as refugees. For the first time in her life, Nujeen says she didn’t feel like a burden. She could act as an English interpreter for other Syrians making the overland journey across Europe in 2015. The Woman Who Rode a Shark: And Fifty More Wild Female Adventurers, by Ailsa Ross with illustrations by Amy Blackwell, is published April 4 by AA Publishing. Pól Ó Conghaile: Is Ireland as welcoming as we think to LGBTQ+ visitors? Pól Ó Conghaile Ireland is a safe and welcoming place for LGBTQ+ travellers. Ellie Cullen The historic Parisian landmark of Notre Dame, consumed by fire on Monday night, is not just a place of worship – it has also inspired the stories of best-selling authors and Hollywood filmmakers. Pól Ó Conghaile A decade ago, talk of Winterfell or White Walkers in Northern Ireland would have earned you funny looks. WOW Air Explainer: What can I do if my flights are cancelled? Breaking the sound barrier - what is the future for supersonic flight? How can I save money on holidays?